As you can see, the description of what the service does now appears above it. This description is taken from the PHPdoc of the related interface. 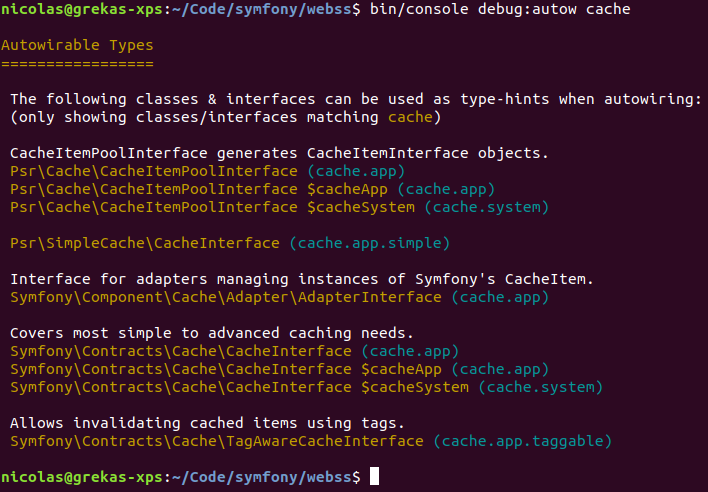 Also, the autowire by type and name feature introduced in Symfony 4.2 is displayed (e.g. CacheInterface $cacheApp).